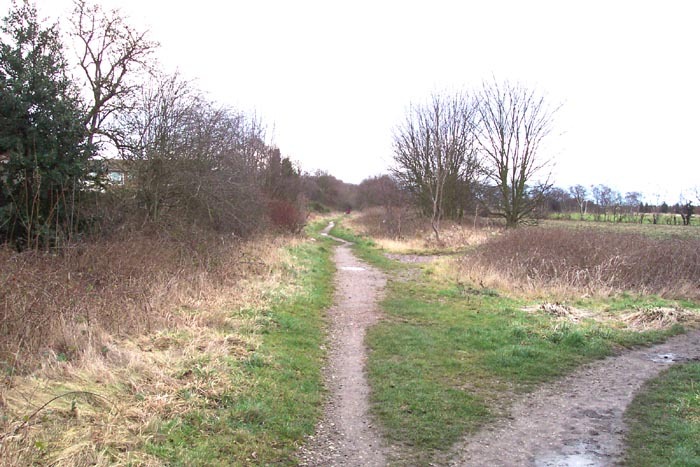 A victim of the Beeching attempt to remove all rail connections to Walsall, Pelsall opened on the South Staffordshire Railway's Line from Walsall to Lichfield (and forming part of the route from Wolverhampton to Burton-on-Trent) in 1849. Following operation under the LNWR and LMS (post-grouping), the station closed, along with all on the line, in 1965 with the line closing to all through traffic in 1983. 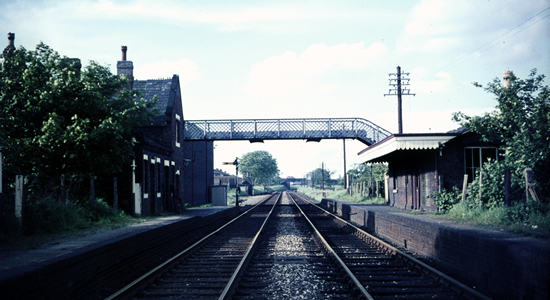 Now forming part of a walkway between Walsall and Brownhills, above we see the station in 1967, two years after closure (photo: David Bathurst) looking towards Lichfield. 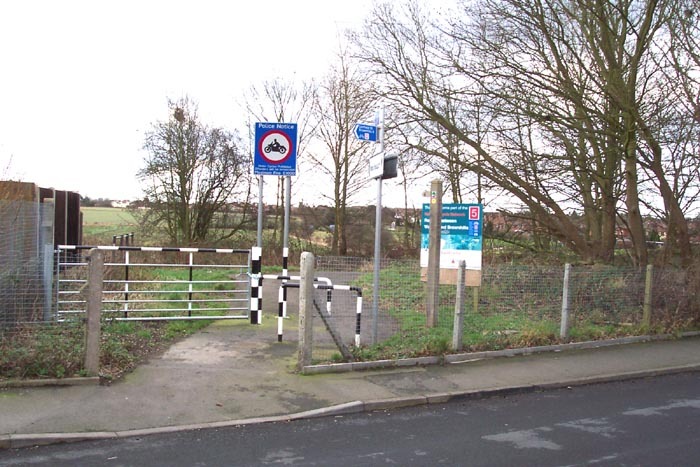 Above-left we see the entrance to the station site today on Station Road: rather less spectacular than the original but nevertheless it is good that the trackbed is getting some use as a public footpath. The frontage of the station building seen on the left in the 1963 photograph would have obscured our view of the trackbed area prior to its demolition. Above-right we have walked through the entrance seen in the previous photograph and are standing on the trackbed at the station site looking along the track towards Lichfield. Above-left we have turned 180 degrees and walked a few yards ahead towards Walsall and can see Vicarage Road bridge parapet in the distance ahead and the houses on Station Road to the extreme right. Above-right we have walked to the Vicarage Road bridge with the station site to our rear and, in the distance, can just be made out a bridge over the trackbed at which point the Leighswood Branch left this line and headed off to serve Stubbers Green brick works, Stubbers Green Colliery, Victoria brick works and Leighswood Colliery beyond which the line joined the Walsall Wood branch. Above-left we are in the same spot next to Vicarage Road bridge but have turned to face the station site - the large station booking hall being ahead-left. Above-right we have taken the same angle but zoomed up to the station site itself. Whilst it is interesting that the station site is still accessible, unfortunately nothing remains to invoke feelings associated with railways of the past. The clearance job was rather total - they could have at least left the platforms in as on the Wombourne line or at West Bromwich pre-Metro.